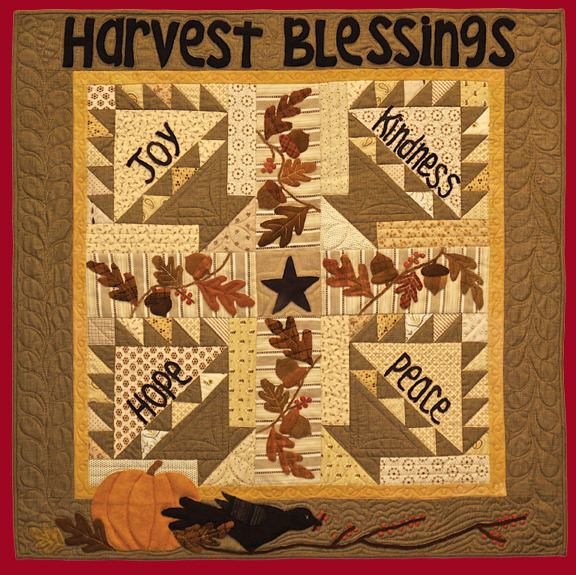 Finished size - 38" x 38"
Celebrate the very best of autumn with this patchwork and applique project. Includes the pattern, and all the fabric needed to complete the pieced and applique top. Backing fabric is not included.